As you make investments in yourself and your life purpose, personal growth will occur. As you grow and mature, advancement and success often follows. At this point in time, there is a great danger for the sin of pride to creep into your life. The prophet Hosea addressed this issue with the Israelites. He reminded the nation of Israel of the sin of pride when their forefathers left Egypt and travelled in the desert to the promised land. I cared for you in the desert, in the land of burning heat. When I fed them, they were satisfied; when they were satisfied, they became proud; then they forgot me (Hosea 13:5-6). God hates pride. In fact, in Scripture it is often placed in a list with other sins that God detests. 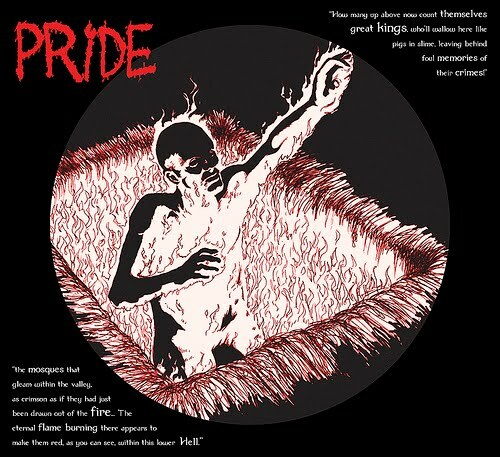 The Apostle Paul mentions to Timothy that the sin of pride would be a hallmark of Godlessness in the last days. But mark this: There will be terrible times in the last days. People will be lovers of themselves, lovers of money, boastful, proud, abusive, disobedient to their parents, ungrateful, unholy, without love, unforgiving, slanderous, without self-control, brutal, not lovers of the good... (2 Timothy 3:1-3). Sin entered into the universe through the pride of the highest angel that God had created - Lucifer. We read his story in Ezekiel 28. You were anointed as a guardian cherub, for so I ordained you. You were on the holy mount of God; you walked among the fiery stones. You were blameless in your ways from the day you were created till wickedness was found in you. Through your widespread trade you were filled with violence, and you sinned. So I drove you in disgrace from the mount of God, and I expelled you, O guardian cherub, from among the fiery stones. Your heart became proud on account of your beauty, and you corrupted your wisdom because of your splendor. So I threw you to the earth; I made a spectacle of you before kings (vs. 14-17). But after Uzziah became powerful, his pride led to his downfall. He was unfaithful to the LORD his God, and entered the temple of the Lord to burn incense on the altar of incense. Azariah the priest with eighty other courageous priests of the LORD followed him in. They confronted him and said, "It is not right for you, Uzziah, to burn incense to the LORD. That is for the priests, the descendants of Aaron, who have been consecrated to burn incense. Leave the sanctuary, for you have been unfaithful; and you will not be honored by the LORD God." Uzziah, who had a censer in his hand ready to burn incense, became angry. While he was raging at the priests in their presence before the incense altar in the LORD's temple, leprosy broke out on his forehead... King Uzziah had leprosy until the day he died. He lived in a separate house - leprous, and excluded from the temple of the LORD. Jotham his son had charge of the palace and governed the people of the land (vs. 16-19, 21). Reliance on the Lord (Psalm 131). In this psalm, King David said that he was not proud because his hope was in God. Embrace humility. Before his downfall a man's heart is proud, but humility comes before honor (Proverbs 18:12). When you recognize the sin of pride in your life, repent immediately. In 2 Chronicles 32:24-26, we read of King Hezekiah's own battle with pride. Once this was made known to him, he repented to the Lord. Do you struggle with pride in your own life? What are you doing to combat this destructive sin? I read this morning from the NLT in Proverbs 9:9 "It is better to be a nobody with a servant than to be self-important but have no food." And again in verse 15 "Fools think they need no advice, but the wise listen to others." Humility is not only a godly characteristic but also very practical! Thanks again, keep it up! Thanks, Rob - great verses. Keep the great comments coming!